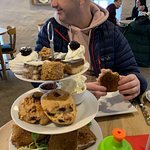 18/04/2019: Lovely little tea rooms to stop and have afternoon tea either before or after seeing Aysgarth Falls. Very reasonable prices and friendly fast service. Very enjoyable. 14/04/2019: Visited a few times and loved it. Great food and friendly service. Menu is full of wholesome, delicious food, with lots of gluten free options (special mention for the the gd cheese scones) and cakes. Beautiful location. 15/04/2019: The menu is really good with lots of choice. The staff are fantastic & dogs are very welcome. Duncans is very popular so don't be surprised if there is a notice on the door giving the time of the next available table. This tea room is on the first floor so someone with a disability may have difficulty climbing the stairs. 14/04/2019: Stopped in at Richmond after a tour round Kiplin House. We pottered about for a little bit and stopped off for a quick coffee and cake. We tried two other cafes which either looked drab or were too busy and finally ended up at Duncan’s. 14/04/2019: A delightful lunch, excellent service and unexpected food. 12/04/2019: Can definitely recommend this restaurant, arrived to a friendly warm welcome. Nothing was too much trouble. Four adults and one child (3). Food is of a high standard and they were only too happy to accommodate our three year old by adapting their adult menu. I had the two course menu for 12.95 which consisted of smoked haddock fish cake, so delicious and just the right size portion for a starter. I then had the lamb minted sausages which arrived on a bed of mashed potato, cabbage and a delicious jus. I ordered a side of vegetables. We all enjoyed our meals and would return without hesitation. 15/04/2019: After hearing good reviews about this pub we decided to book with a table with two good friends for the taster menu. The decor is pleasant and understated with very attentive , but not overbearing service. 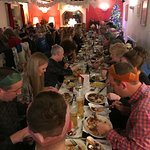 We decided to opt for the full taster menu £45 ( £35 one has a couple of courses less included) with one of our party adding the accompanying drinks at £45 - we felt this was reasonably priced . 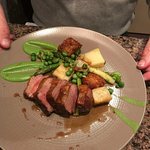 13/04/2019: Every time we come to the Moorcock Inn for either a bar meal or a fabulous tasting menu Alistair creates something more beautiful than before. We adore the smoked fish and my husband’s veal was so tender. Amy selects the perfect wine or beer accompaniment for each tasting meal. The cheese course with the Mostarda was delightful. Hopefully we’ll be back soon to sample his new delights. 16/04/2019: This is our all time favourite place and it never fails to impress. Amazing food, drink and outstanding service. Today was to celebrate my husband’s birthday. The staff and owners made this a truly memorable lunch for us all. Thankyou so much. We’ll be back as soon as we can! 14/04/2019: Had a fantastic Sunday lunch... High quality ingredients really well cooked. Service was a bit slow towards the end, but it was a busy Sunday. Probably all round the best Sunday lunch ever. 11/04/2019: We booked this Sandpiper for a lunch gathering of family and friends. The table in the bar was lovely by a roaring log burner and we sat down to peruse the menu. It was sadly a disappointing experience. The choice was very limited and pricey. There were no pub classics on offer and only 3 smaller plates and sandwiches. I ordered a smoked salmon and crab salad for £8:95. What arrived was a starter plate upon which were 2 small slices of smoked salmon and a quinnel of crab mousse. Delicious but so small. 06/04/2019: Staying at the nearby caravan site we called here with our 2 kids and 2 bulldogs in tow. 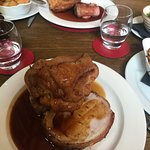 Superb food, superb cask ales, and superb service from all the staff. An excellent visit and we will definitely return. 14/04/2019: 8 of us dined at The New Inn this afternoon after running a local multi-terrain 16 mile race, The Swainby Sweep. 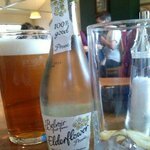 We wanted to go for Sunday Lunch afterwards and researched The New Inn on Trip Advisor. 13/04/2019: I cannot praise this pub enough, always very welcoming, have never been disappointed with the food or the service. 16/04/2019: We were unable to find a table at the selection of pubs so decided to try eating here. It was an excellent decision and we enjoyed some of the best fish and chips we've had in a long time. We sat at a comfortable table and the service was efficient and friendly. 25/03/2019: My partner and I came for an anniversary meal at the hotel on a Friday evening and I'm still reeling from the experience. The food was fresh and incredibly tasty. The staff were polite and accommodating. OVerall a perfect experience! Will definitely return. 17/04/2019: We stopped here during a motorbiking trip around the Yorkshire Dales. It was a busy Saturday lunch, but the really friendly owner (I think) found four of us a table. Great pub food, at great prices. Unbelievably helpful staff. It's on my list for a return visit. 15/04/2019: Visited here on Saturday with our friends, its been a favourite of ours for years and great to know its still as good as ever! Literally blown away by the food, everything you could ask for after a long walk in the Dales. Special thanks to Matthew who goes the extra mile to make you feel welcome, we'll be back! 12/04/2019: We live locally and enjoy going out but this afternoon experience was just very special indeed. Excellent food, fantastic atmosphere and service, will be repeating our visit. 13/03/2019: Booked on the day for afternoon tea. Warm friendly welcome. Good choice of sandwiches to choose from which was much better than being presented with some you may not like. Couldn’t eat them all so owner volunteered to pack them up for us to take home. Fantastic selection of home made scones, the walnut and date was delicious. So good that we purchased two extra to take away. Lemon cake was light and gorgeous. Will definitely pop in for a snack next time we visit Richmond. Highly recommended. 13/04/2019: My wife and I visited with some friends and were very impressed with the value for money of the meals. I had the ploughman's that included 5 separate pieces of Wensleydale cheese all sorts of salad pieces and chutney's- almost too much to eat. The meals that the rest of our group had were similarly extensive. We'd definitely visit the restaurant again the next time we travel that way. 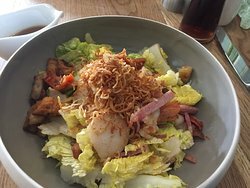 04/04/2019: Went for lunch today excellent value at £36.00 for two of us, 3 courses & a drink each. The restaurant is well presented (with Lucy Pittaway painting's on the walls) & is very clean. 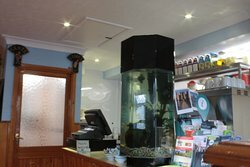 The staff were fantastic & polite from the moment we walked through the door to the minute we left. 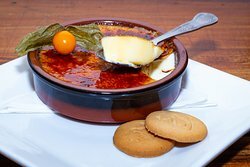 The food was all very well cooked & presented, I highly recommend the Cheesecake. 08/04/2019: Our friends recommended this café and we were not disappointed. It was very busy which may tell you something! The scones were very filling and the cakes were delicious too. Would visit again certainly! 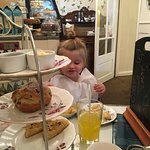 31/03/2019: Having read the reviews so gave it try we've tried a few cafe / eating places in Leyburn this is best we have tried ( there scones are a meal on own ) our first choice now when in Leyburn pleasent staff good food and resenbly priced. 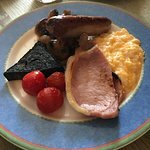 15/04/2019: We ate breakfast and dinner 4 days here and on every occasion we were delighted with the service, quality and quantity on offer. 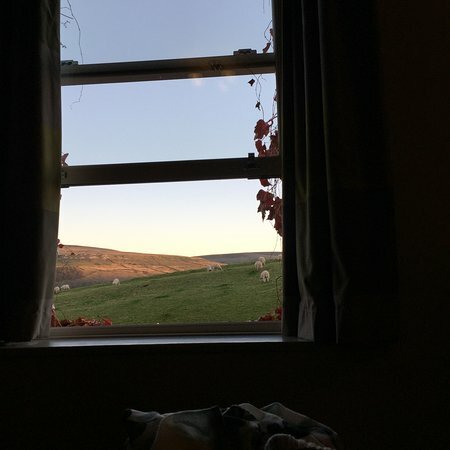 13/04/2019: We are great fans of the Yorkshire Dales - well in fact of Yorkshire. The folk are unfailingly pleasant and straight forward. This pub has clean, comfortable rooms and a warm welcome. 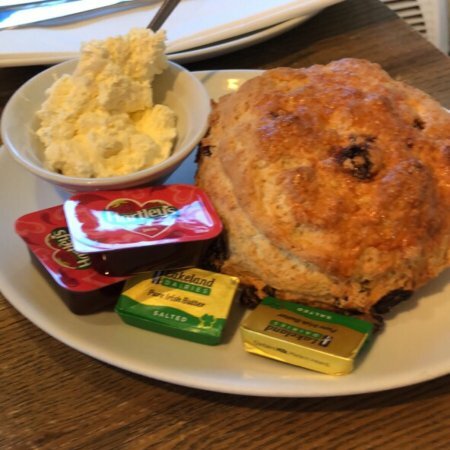 Staff are happy to make a pot of tea when you return after a walk in the stunning countryside and good beer and tasty meals make this a perfect stop to relax.